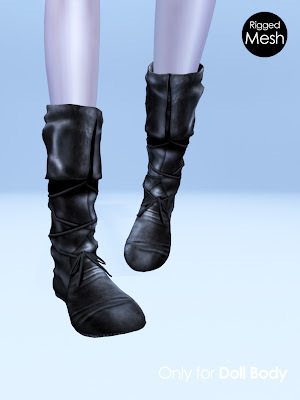 These are new items, the Flat Boots. Please detach "Feet" of the body parts to wear the boots. Try on the DEMO, please!